Having taken the throne for himself, Henry Bolingbroke must deal with rebellions on every side — including those led by the very allies who helped him gain the throne. Making matters worse, his unruly son would rather spend his time carousing in the taverns with Falstaff than behave like a prince. 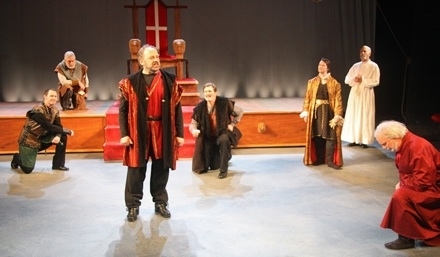 The most popular of Shakespeare's plays in his own time, Henry IV is comedy, drama, history, and adventure all rolled into one. The rowdy comedy of Falstaff and his tavern mates blends into a moving exploration of the relationship between father and son, all leading up to a climactic battle between the two greatest warriors in the country...and a heartbreaking decision for young Prince Hal. Coming July 2015 to Cornell Plantations! 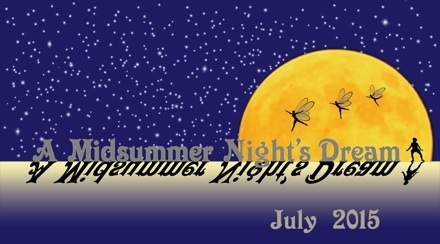 Want a little taste of "Midsummer" before mid-summer? Check out ISC actors performing with Opera Ithaca in Dreaming of Summer: Shakespeare's A Midsummer Night's Dream in Cinema, Song and Speech. This special event at Cinemapolis on Sunday, March 1, will feature the 1909 silent film of "Midsummer" along with readings by ISC actors and arias from Opera Ithaca's upcoming production of the Midsummer-inspired opera "Il Sogno." 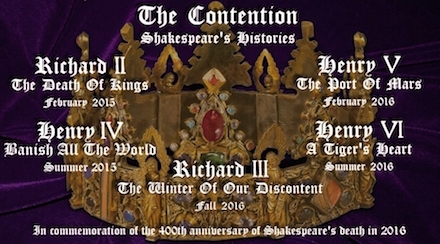 Don't miss this special multi-media celebration of Shakespeare's most popular comedy! See more details here. Cornell's Schwartz Center for the Performing Arts presents The Glass Menagerie, February 26-28 and March 6-7. This production of Tennessee Williams' classic play is directed by Theatre Professor Bruce Levitt and features a mix of graduate, undergraduate, and professional actors in the cast. Banish the winter blues with laughter in the Homecoming Players' upcoming production of $38,000 For A Friendly Face by Kristin Shepherd, March 2 and 3 at the Kitchen Theatre. Thanks to everyone who braved the cold and snow to come see Richard II this winter!